The Consumer Price Index (CPI) rose 0.2 percent in July, putting the inflation rate for the last 12 months at 2.9 percent, slightly above the Federal Reserve's target. July's increase in the cost of living was led by the cost of putting a roof over your head. The shelter index jumped 0.3 percent last month, accounting for nearly 60 percent of the seasonally adjusted monthly increase in the Bureau of Labor Statistics' all items index. Food costs were up by a more modest amount last month while energy prices were sharply lower. Consumers' paychecks were mostly the same last month. Real average hourly earnings for all employees were unchanged from June to July on a seasonally adjusted basis. Robert Frick, corporate economist at Navy Federal Credit Union, says the inflation and income numbers are a mix of good news and bad news. "The CPI numbers reflect a strong economy, and are in line with estimates," Frick told ConsumerAffairs. "Most of the pressure on prices is coming from robust consumer spending fueled by more Americans working, and from continued high consumer confidence. 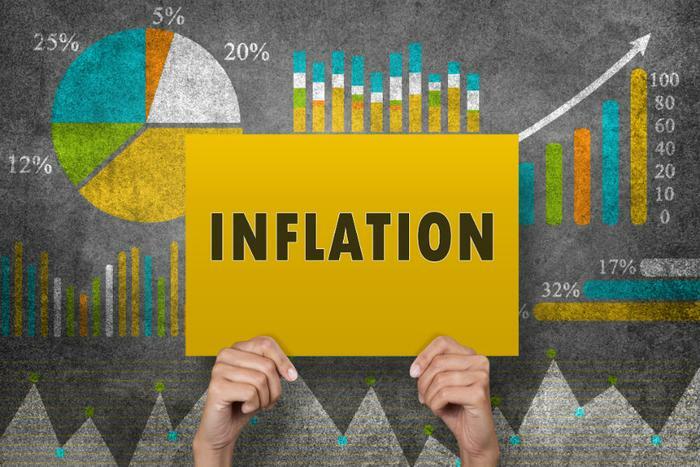 Unfortunately, the rate of inflation at 2.9 percent annually now slightly exceeds average wage gains, so real wages just ticked to negative." That means workers' paychecks are not keeping up with inflation and could cause more consumers to fall behind financially. "For Americans to benefit more from the expansion, real wage growth needs to be positive as it usually is in this phase of an expansion," Frick said. "Americans are being hit particularly hard in shelter costs, which are up 3.5 percent in the last year. In fact, even though home sales have slowed in recent months, the rise in home prices hasn't. Earlier this week, the National Association of Realtors (NAR) reported that the median sale price for an existing home in the second quarter hit a record high of $269,000, 5.3 percent more than in the second quarter of 2017. "The unaffordable conditions in many of the largest metro areas – especially in the West – continues to be a growing concern for many middle-class households aspiring to buy a home," said Lawrence Yun, NAR's chief economist. "Homebuilders, facing higher costs and labor shortages, are simply not producing enough affordable homes to satisfy demand. Local governments need to acknowledge this glaring issue and ease some of the zoning laws, permitting processes and regulations that are slowing construction." But home prices and rents weren't the only consumer expenses moving higher last month. The government report shows consumers also paid more for new and used cars and trucks, airline fares, household furnishings, and recreation.